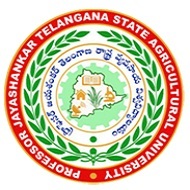 Professor Jayashankar Telangana State Agricultural University (PJTSAU) is sixth in the Indian Council for Agricultural Research (ICAR) rankings. The varsity has moved from 12th position to sixth this year, and also secured 82nd rank in MHRD-NIRF rankings countrywide. The university is also planning to start four new colleges across the state and to improve the infrastructure in the existing colleges. The PJTSAU Vice-Chancellor Dr V. Praveen Rao said that the university is maintaining a healthy gender ratio with more than 50 per cent of girls and a faculty ratio of 7:1.